Any definition of experimental must include weirdness. You can play around with fancy quantifiers or you can dive headfirst into this or that example of experimental music, but if you take away weirdness, then there’s nothing left. With that in mind, we can go ahead and call Kevin Hufnagel’s Kleines Biest downright weird. “Good” and “stellar” are apt adjectives too; Hufnagel’s most recent release excels at sounding like nothing you’ve probably ever heard before. From the robot-in-disrepair eccentricity of “Not An Accident” to the horror movie music of “Hidden in Pieces,” Kleines Biest is a little beast full of left field exercises. Hufnagel, who has made a name for himself as a ten-fingered shredder for such out-there acts as progressive metallers Dysrhythmia, post-everything duo Byla, and death metal gods Gorguts, has been dragging the experimental waters for quite some time now. Two years ago, Hufnagel’s solo output hit its apex with Ashland, a difficult record that oscillates between ambient caterwauling and beautiful interludes. Oh, and the all ukulele is cool, too. 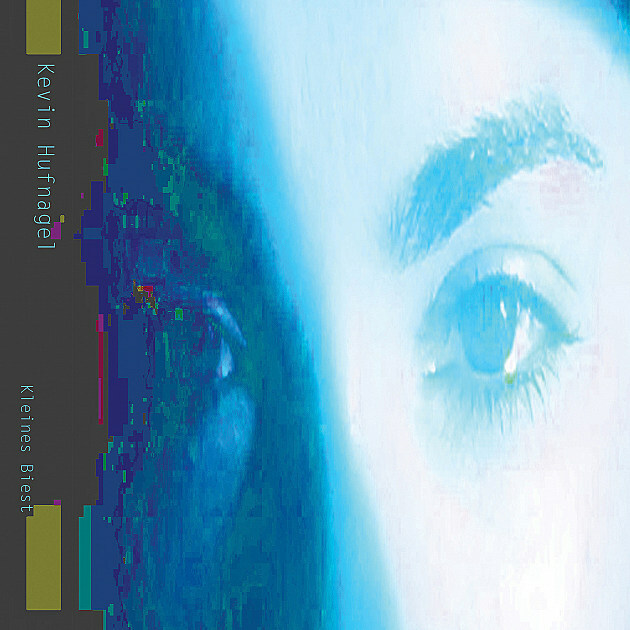 Sadly, Kleines Biest, which was mastered by no less of a talent than Colin Marston, gives the ukulele short shrift, but Hufnagel makes up for this lack in many different ways, such as producing a much fuller soundscape, albeit one that exudes so much darkness that barely any light breaks through. “Future Never,” the record’s ninth track, is a good example of such bleakness; besides its nihilistic title, the song features astringent and atonal sequences that are more machine than man. “Future Never” sounds like getting trapped in a mechanical insect and it contains all the comfort of going insane. Then of course there’s “Súton.” Ever watched Fritz Lang’s Metropolis late at night? How about The Babadook, but just that scene where the titular monster shows up in a series of silent films? Well, if you have, then you might have an idea about “Súton.” Underlined by a light, airy guitar, but overrun with digital noise, “Súton” manages to be both abrasive and disarmingly attractive. It is, without question, the best track on Kleines Biest. Frankly, if you come to Kleines Biest looking for heavy metal, then you will be disappointed like a New Englander looking for an “r” at the end of a word. Then again, even if you are only a little bit familiar with Hufnagel’s discography, then you should be well aware that this guy doesn’t deal in the traditional or standard. He’s a peddler of the bizarre who prefers the indescribable to the easily critiqued. Kleines Biest is just that–a novel way of approaching non-music. It is weird. Kleines Biest is available as a limited edition from Handmade Birds. Follow Kevin Hufnagel on Facebook.